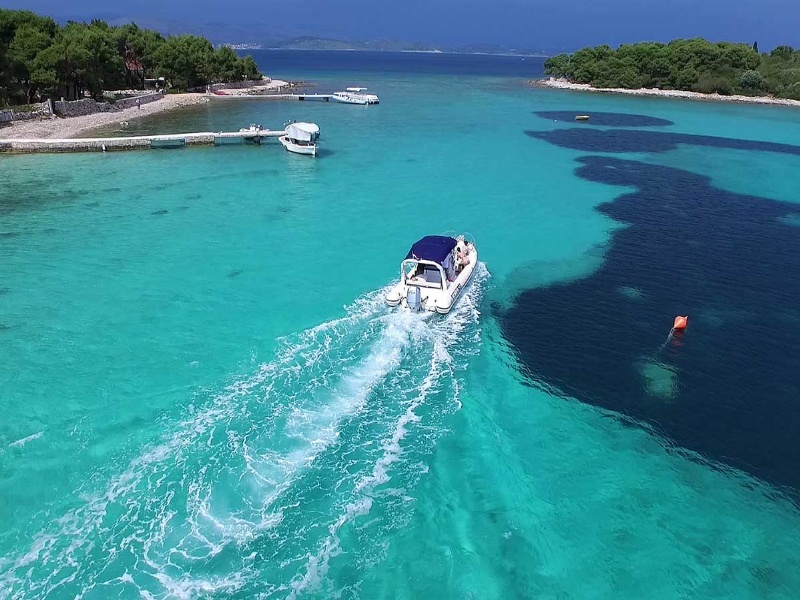 If you wish to avoid the crowds on the group tours, and have relaxing and refreshing 3 hours out on beautiful coastal Croatia, this tour is a right choice for you. Nestled between the two Krknjaši islands, this enchanting lagoon is blessed with crystal clear waters, ideal for swimming, snorkeling and fun in the sun. After 30 minutes of speeedboat ride you will arrive to the Blue Lagoon, principle is easy-going: Relax you in this attractive place with brilliant turquoise water, everlasting sunshine and a sandy seabed. 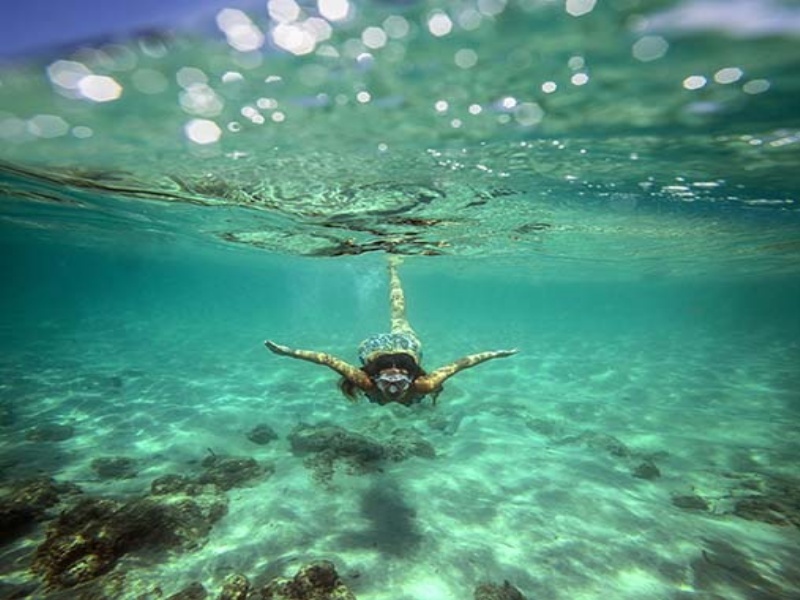 The Blue Lagoon is the perfect place to explore the colourful underwater world, use your time there to swim and snorkel. 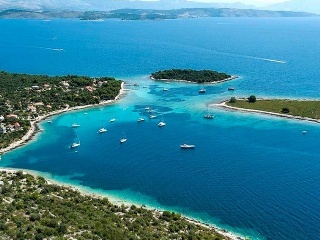 On our way we will vidit another Unesco's gem - the city of Trogir. Trogir is an historic old town founded in the 3rd century, this was an unique opportunity to discover a UNESCO World Heritage site, which is one of the best-preserved examples of a Romanesque-Gothic architecture not only in the Adriatic, but in all of Central Europe. 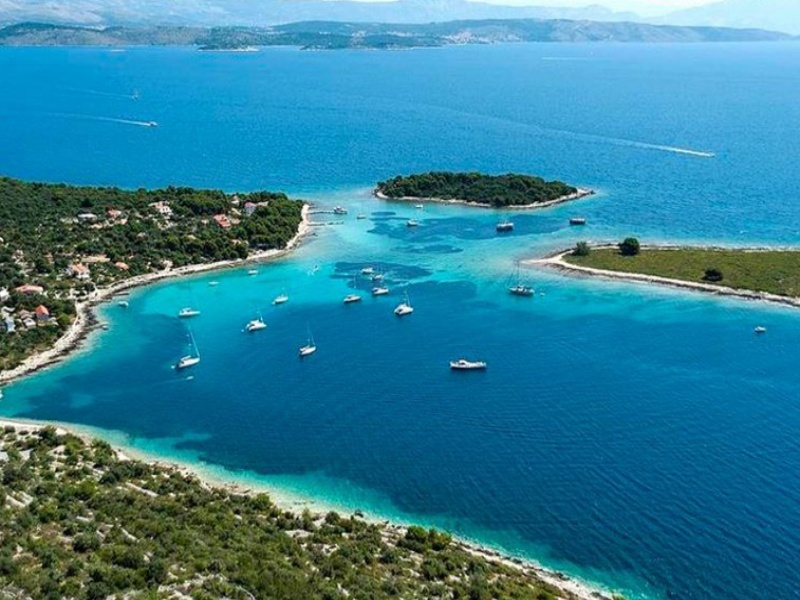 Trogir is in effect to small but it is very charming with it’s long port with many palm trees, wonderful boats and the several picturesque places and streets, to resume it is a real relax environment so far from tourist’s places in the largest town. Pack your bathing suits, your sunglasses, do not forget the sunscreen, and discover those heavenly beaches.